Plot: Mel Gibson's first official movie as producer paints a tragic, and sometimes beautiful, picture of what sacrifices must be made for freedom. Mel plays a thirteen-century freedom fighting Scott who motivates his countrymen to fight against the corrupt government. A movie that everybody likes but I don't. It took me almost 20 years to see this Best Picture winner and, I admit, I should have seen it sooner. A great film about William Wallace, Scottish freedom fighter. The acting is great, even if Mel Gibson does go in and out of his accent quite often. The Horner score was good, in fact it was sometimes overpowering. But, what I liked most about the film, was the fact that it's 3 hour running time didn't feel like it. I have a rule, that most films should need permission to go over 90 minutes, much less, be 2 or even 3 hours, but this one passed the test. Again, a must see! 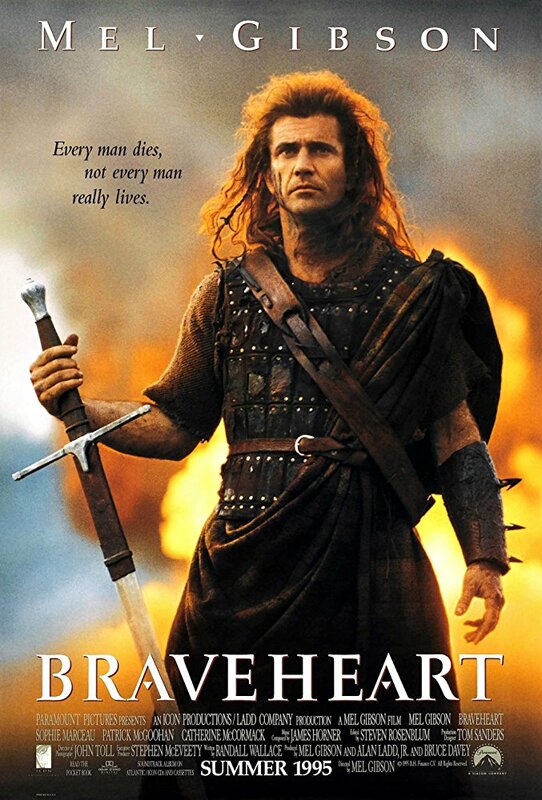 Braveheart is a rousing adventure film that tells a truly epic tale of heroism and strength. The film is inspiring in the best possible way and features some stunning brutal battle sequences. The love story that anchors the film is, at times, a little trite, but the film's powerful climax makes it a war film to remember for ages in cinematic history. No posts have been made on this movie yet. Be the first to start talking about Braveheart!